Joe's practice is composed of transactional, litigation, title and regulatory aspects of Oil, Gas and Mineral Law. * Joe received his Bachelor's Degree in Business Administration from the University of Texas in Austin, Texas, in 1987, with a double major in Real Estate and Finance. He subsequently received his law degree in 1990 from St. Mary's University School of Law in San Antonio, Texas. While at St. Mary's, Joe was a member of the St. Mary's Law Journal, the American Inns of Court and Phi Delta Phi International Legal Fraternity. Joe began his practice in 1990 in the Oil and Gas Section of the Austin office of Akin, Gump, Strauss, Hauer & Feld, L.L.P., where he represented oil and gas lessees, operators and mineral/royalty owners in regulatory matters before the Railroad Commission of Texas, as well as in oil, gas and mineral related transactions and litigation throughout the State of Texas. 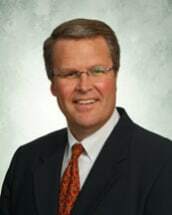 He joined the Corpus Christi office of Porter, Rogers, Dahlman & Gordon, P.C., in 1997, where he continues to represent his clients in oil, gas and mineral related litigation, the preparation and negotiation of oil, gas and mineral transactions, as well as the preparation of title opinions covering mineral interests throughout Texas. He has been certified by the Texas Board of Legal Specialization in Oil, Gas and Mineral Law since 1998. He is licensed to practice in Texas and is a member of the Corpus Christi Bar Association, the State Bar of Texas, as well as the Oil, Gas & Mineral Law Section of the State Bar of Texas. He has also worked in the preparation of articles for the University of Texas School of Law Ernest E Smith Oil, Gas & Mineral Law Institute, the American Association of Professional Landmen and the Corpus Christi Landmen's Institute. Joe and his wife, Stephanie, are native Corpus Christians. They have two daughters, Catherine and Caitlyn. Joe has served as a member of Leadership Corpus Christi, Class 28, as well as President of the Corpus Christi Chapter of the University of Texas Longhorn Foundation, Director on the Board of Directors of the Coastal Bend Community of the Walk to Emmaus, member of the Bill Glass Prison Ministries and as a member of the Young Men's Business League of Austin, Texas. Joe and his family are also active members of the First United Methodist Church in Corpus Christi, where Joe has served as a Director of the Board of Directors of the Contemporary Service/Praise Team, as well as a member of the Pastor Parish Relations Committee, Finance Committee and Stewardship Committee. His hobbies include fishing, hunting, golf and traveling.